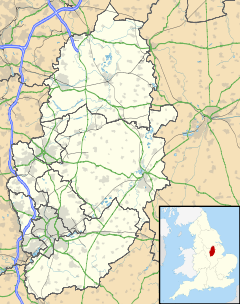 For ither uises, see Mansfield (disambiguation). Mansfield is a mercat toun in Nottinghamshire, Ingland. It is the main toun in the Mansfield local govrenment destrict an is a pairt o the Mansfield Urban Aurie. Wikimedia Commons haes media relatit tae Mansfield.